My daughter is at an age now where she is wanting to treat her friends to gifts (all the time, not just at Christmas)! While the special season is here, I thought I’d create a little gift for her to share with her besties… that won’t break the bank. This Easy Handmade Jewelry is cheap, easy to make, and comes together super quick. It would also be a cute stocking stuffer idea! 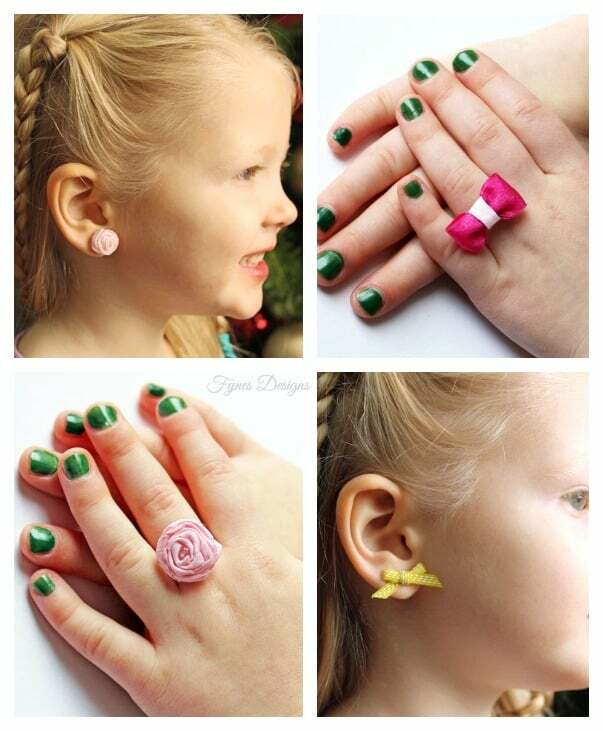 I started with jewelry blanks I picked up at the craft store, and by simply adding a little May Arts Ribbon made them into cute jewellery for any little girl… or kid at heart! For the earrings I simply tied a bow with 1/4″ center stitch green ribbon. 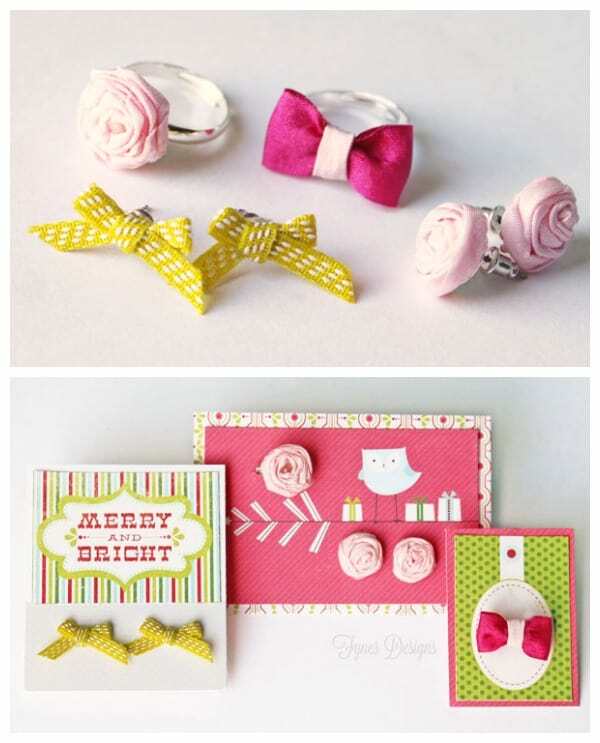 Both rings and rosette earrings are made with 1/2″ Solid wrinkled ribbon in pink and hot pink. The bow ring is a loop of ribbon with a contrasting ribbon in the centre to pull it together (hot glued on the backside). To create the rosettes you can follow this simple Ribbon Rosette tutorial. The secret to getting the ribbon pieces to stay put is E6000 craft adhesive. It has a strong smell, but maximum hold. 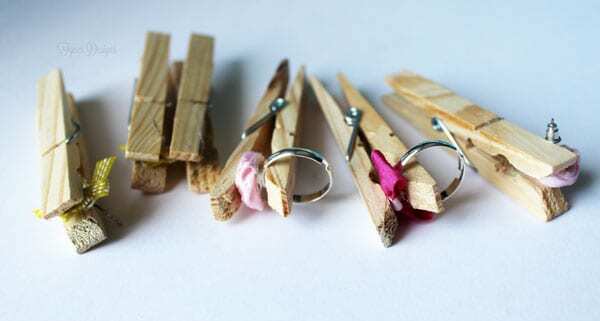 Then you can use a clothespin to hold the ribbon to the jewellery pieces while they dry. Each piece of handmade jewelry took about 5 minutes to make and only cost about 50¢! I then took a bit of Christmas theme scrapbook paper (this above is from Carta Bella) and created a few cards to hold my handmade jewelry. It’s now all ready to gift to a sweet little one or stuff in a stocking! 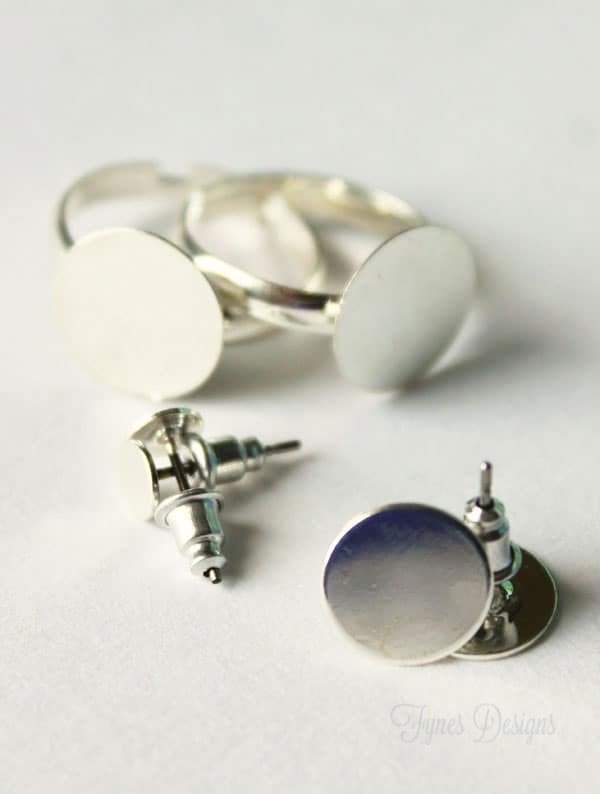 Can you believe how quick you can make this easy handmade jewelry?! Leave a comment here, and along the way for a chance to WIN 3 spools of May Arts Ribbon, your choice! Please Hop along for more ribbon gift inspiration! Cute! I especially like the earrings! OMG! Adorable! I love the rings!! Very pretty and so easy. Pretty model as well. 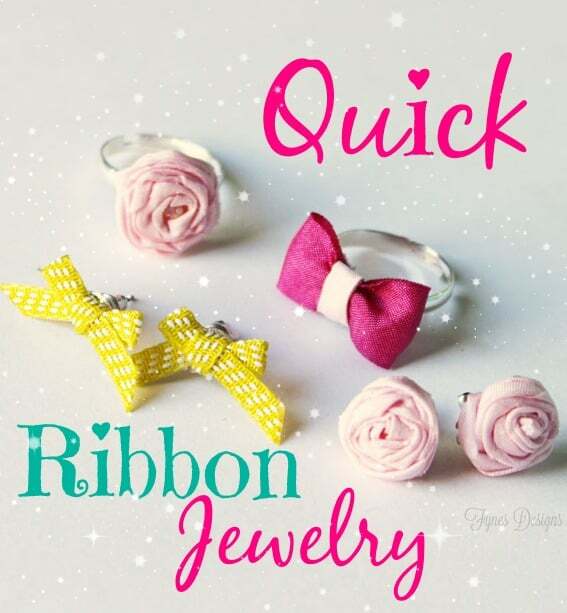 Clever idea to make jewelry out of the ribbon. this would work for the adult ladies also. It’s also reasonably priced – but the recipient doesn’t need to know that. Thanks for sharing. Adorable pieces and pkgd up so sweetly!! These are adorable pieces! Any young girl would love these! So gorgeous, Virginia! This is right up my kiddo’s alley! Pinning! These are adorable and such fun for young girls. What great gifts. Those are so pretty. I have to get out more and shop in the crafts stores. They do make great gifts for kids at heart too.